DETROIT -- Penske Automotive Group Inc. said its second-quarter net income and revenue rose at a double-digit clip, driven by strong new- and used-car sales, gains in service and parts revenue and continued cost controls. The second quarter was the first to include Penske’s deals with Hertz Corp. making Penske the exclusive operator of some Hertz rental locations in Memphis, Tenn., and parts of Indiana. 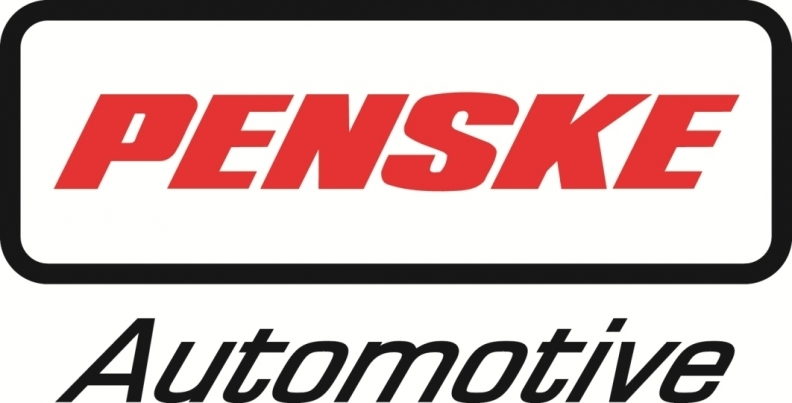 The deal added $15 million to Penske’s revenue in the latest quarter and gave the dealership group access to a steady flow of used vehicles for its stores. Penske’s second-quarter net income jumped 26 percent to $62 million, as revenue rose 12 percent to $3.7 billion from the year-earlier period. Income from continuing operations increased 27 percent to $64.5 million. Penske has $545 million in cash available for future acquisitions, Penske said. He said the company has “a couple acquisitions” it’s working on in Italy. “The prices are minimal from a goodwill perspective,” Penske said in a conference call. “We’re looking to continue to grow double digits from a combination of acquisitions” and same-store revenue growth. Penske said total capital expenditure for 2013 will be in the $115 million to $125 million range. Penske and Hertz have brokered two separate deals making Penske the sole franchise operator of some Hertz rental locations. In one, Penske bought Hertz’s 15 company-owned airport and off-airport rental car locations in the Memphis market and is licensed to operate them under the Hertz brand. Penske struck a similar deal to operate Hertz rental locations in key Indiana markets. Penske acquired the assets and franchise rights to run more than 20 Hertz airport and off-airport rental locations -- including airport locations in Fort Wayne, Indianapolis and South Bend -- under the Hertz brand name. The fruits of those deals now are paying off, Roger Penske said in a conference call. Wide margins aside, the deal allows for Penske’s 140 U.S. dealerships to procure a rich assortment of used cars, Penske said. Penske said his company launched an internal Web site this week where it can post used Hertz vehicles for Penske dealership managers to bid on. There is no specific forecast yet as to how much the access to more used vehicles will boost Penske’s used-vehicle sales volume. Higher unit sales helped drive the increase in second-quarter revenue. Total retail units sold rose 14 percent to 93,639 vehicles, with new retail units up 12 percent and used retail units up 17 percent. Penske’s new unit sales increases outpaced the industrywide 9 percent rise in sales in the second quarter. That volume increase was offset in part by a $181 decline in average gross profits per new vehicle and a drop of $84 in average gross profits per used vehicle sold in the latest quarter. “We’re in the same boat as everyone else. We see pressure on margins,” Penske said. He said the company will continue to better train its sales teams to improve the sale process and negotiations. He also expects to see a better mix of vehicles from European manufacturers in the next quarter that will offer improved vehicle profit margins. The average transaction price per new vehicle was $37,617, a 1 percent gain from the year-earlier period. But the average transaction price for used vehicles dropped 2 percent to $25,567. Revenue rose 13 percent for new-vehicle sales, 16 percent for used-vehicle sales, 18 percent for finance and insurance, and 8 percent for service and parts. But revenue declined 10 percent for fleet, wholesale and other. Penske said it was awarded three new open points: for a Toyota-Scion dealership in the Phoenix metropolitan market; a Hyundai dealership in the Austin, Texas, market; and a Bentley dealership in the central New Jersey market. Earlier this week, Penske said it will acquire commercial vehicle distributor Western Star Trucks Australia from Transpacific Industries Group for about $200 million. It expects to close the transaction in the third quarter. The transaction is expected to generate $420 million to $460 million in annual revenue for Penske. Penske expects to take an acquisition-related charge next quarter. Penske Automotive, of suburban Detroit, ranks No. 2 on Automotive News’ list of the top 125 dealership groups in the United States with retail sales of 180,764 new vehicles in 2012.